LIVE! 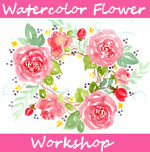 Sunflower in Watercolor Painting Tutorial 12:30pm ET! Hi friends! Today at 12:30pm eastern time on YouTube we will paint sunflowers! You can watch the live show or the replay below but if you want to chat live and ask questions make sure to watch on the YouTube watch page. Supplies can be found at our sponsor Jerry’s Artarama! I hope to see you shortly on YouTube and til then happy crafting! Hi friends! You might have noticed if you follow me on YouTube and Facebook that I have been doing surprise live streams. I will continue to do my Friday at 12:30pm ET stream with Sarah as long as I am not traveling so don’t worry, those are here to stay but I also like popping in live when I have time to paint and chat.I decided to make the replay available after the live stream for everyone to see, I save questions til the end so if you want to hear them you can or you can stop watching when the tutorial is over. I hope this is helpful! 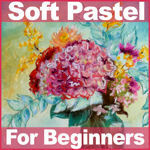 I am using the new Jane Davenport Watercolors from American Crafts! 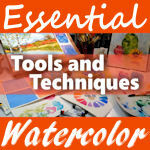 Grab whatever watercolors you have and join me for a fun time! SALE!!!! 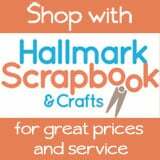 Lifebook2017 extended the 20% off coupon through the end of January, use coupon code FIREWORKS2017 to save! I am one of the teachers of LifeBook 2017! 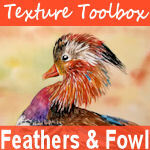 You get a new downloadable class every week for a year from top noth mixed media instructors all of one low price! Don’t wait, the 20% off coupon expires January 31st! Don’t forget we have our regular live stream tomorrow at 12:30pm ET, hope to see you there and til then happy crafting! 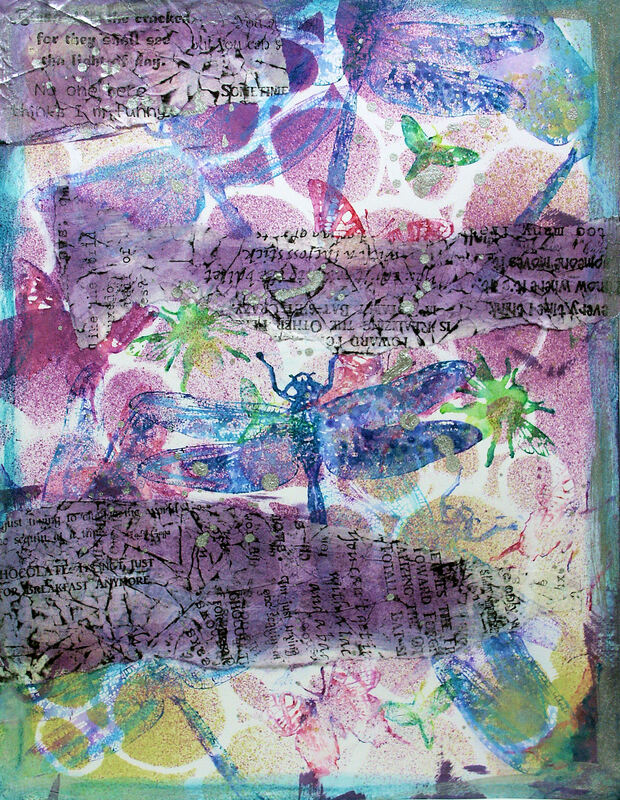 Here is a PDF pattern you can print and trace on your watercolor paper. You can watch the live stream or the replay in the player below but if you want to chat live be sure to watch on the youtube watch page. Also if you are using a tablet make sure you don’t have it in full screen mode if you want to see the chat. Find supplies at our sponsor Jerry’s Artarama! Other: water buckets, paper towels and I grabbed some rubber stamps and stencils in case I want to add to the background! 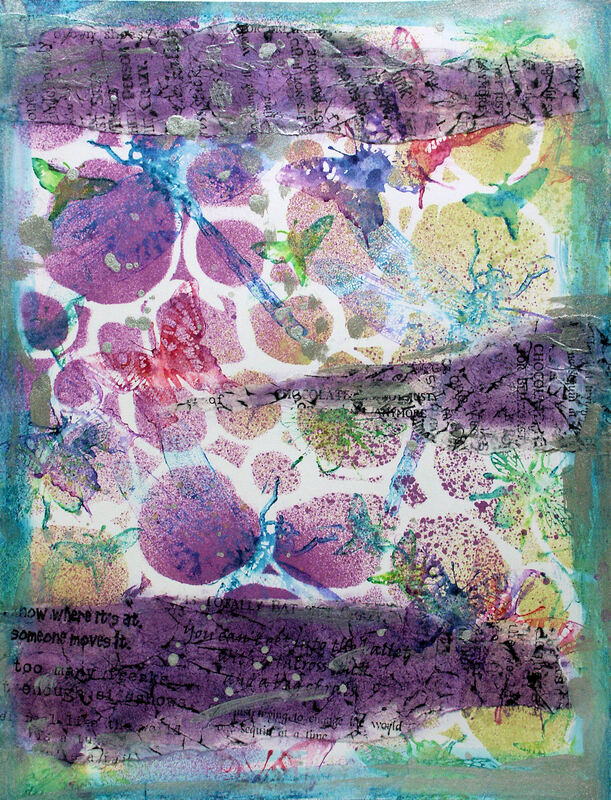 Love Mixed Media? Try a year long mixed media course and save 20% with coupon FIREWORKS2017 Join me and 23 other mixed media teachers for LifeBook 2017! The first class is up and the artwork from the students is AMAZING! But it is not to late to join! 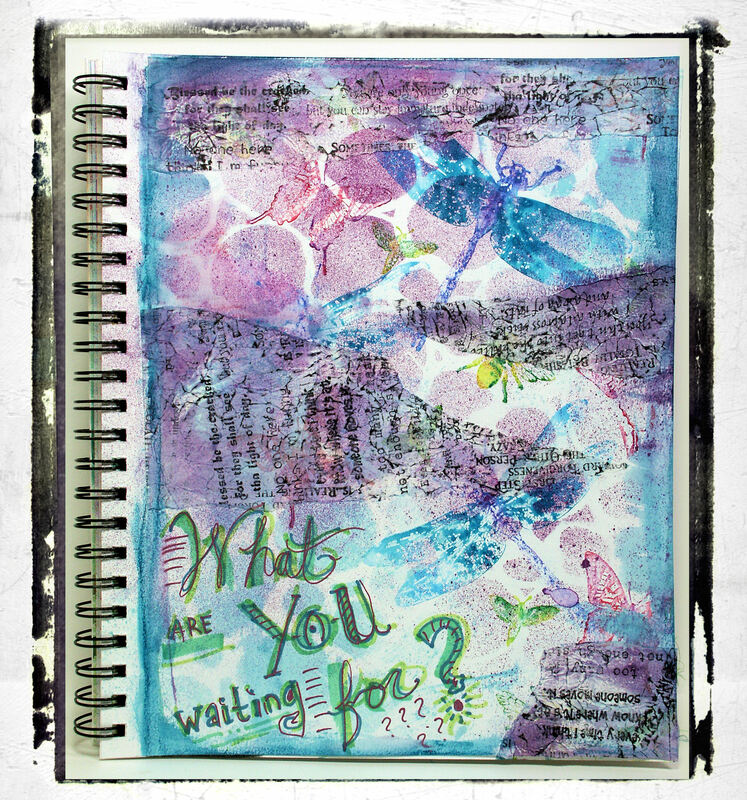 Things are just getting started on LifeBook 2017 and I would love to see what YOU create during a year of weekly mixed media art classes, find our more or enroll here. 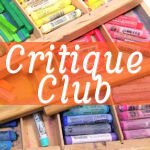 I hope you can join me for the live show today at 12:30pm ET, til than happy crafting! Learn to Stamp a Masterboard and a Freebie! I mentioned in the video that you might love your creation so much that you will want to photocopy it so you do not have to cut up the actual paper. 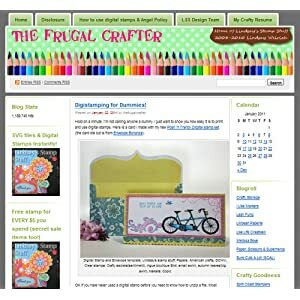 I asked Linda, the owner of Lost Coast Designs if I could share a high-resolution photo of the master-boards I made for my blog readers to print and use and she said “Sure, why not!” so if you click on the photos below it will take you to a larger image you can save and print. Thanks Linda! It pays to do business with good companies like Lost Coast Designs! That’s it for today. I just ordered a new microphone and I have a project I want to try it out on! Have a great day and til next time happy crafting! 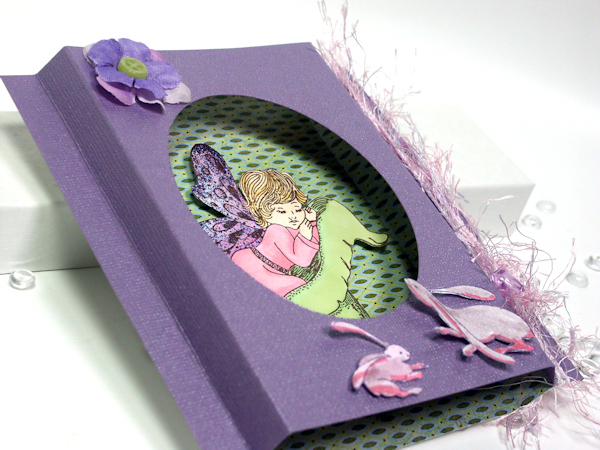 AAA Stamp Giveaway & Learn to Make a Shadowbox Card! Is it Spring yet? Well, judging by the fresh new coating of white stuff on my trees, car and house I’d say no. Oh well, I at least think of Spring when I make a card. This is a shadowbox card, I learned to make one at a stamping party I went to this week. Isn’t that angel sleeping on a calla lily the sweetest? I was actually planning to use this stamp on some Christmas cards but didn’t get around to it but it works just as well as a spring card, I think it would be nice for a baby shower. 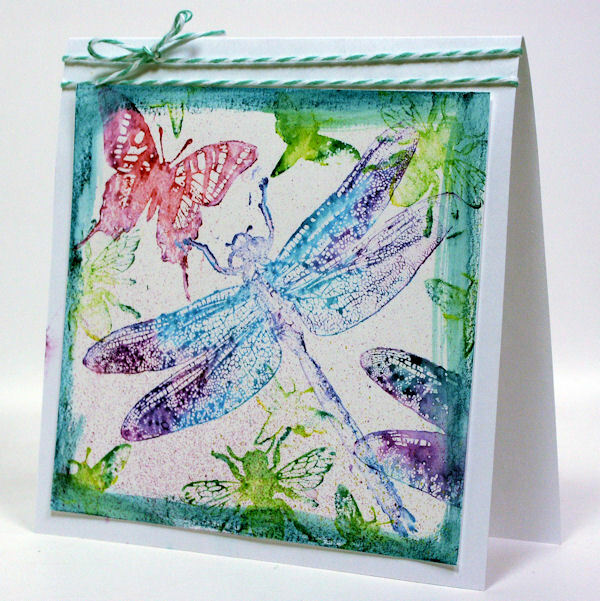 This beautiful fairy stamp is by About Art Accents. How would you like to win it? Just leave a comment on this post and I will randomly draw a winner next weekend. Cut two pieces of cardstock (or heavyweight patterned paper) the same size. Hint: The size you cut the paper is the size of the finished card so if you want a card that will fit in an invitation envelope cut the paper 5.5″x4.25″. Score the right and left side of each paper 1/2″ and 1″ from the edge. At this point you may wish to decorate the inside (back piece) of the box. Try to keep it fairly flat if you want to mail it later. Now you need to fold on the score lines. Use the photo as a guide. You are folding the front panel forwards and the back panel backward to create a wide shadowbox in the center. Adhere the front and back of the card together on the edge. Decorate the front as desired. Now the only drawback to this card is that you need to write on the back of it. It will fold flat in the envelope to mail and pop out when removed from the envelope. Neat huh? I also wanted to mention that I used purple glitter nail polish for the wings and I colored the image with Promarkers. 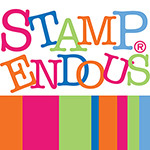 Remember to leave a comment for a chance to win this stamp from About Art Accents! 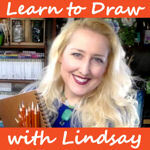 I will draw a name in a week, it could be you! While you are waiting you might want to check out About Art Accents awesome sales, they have many stamps 50% off and their regular prices are not bad either, in fact if you tell them I sent you (coupon code Lindsay10%) you can save 10% on all non sale items too! Thanks for stopping by and til next time happy crafting! 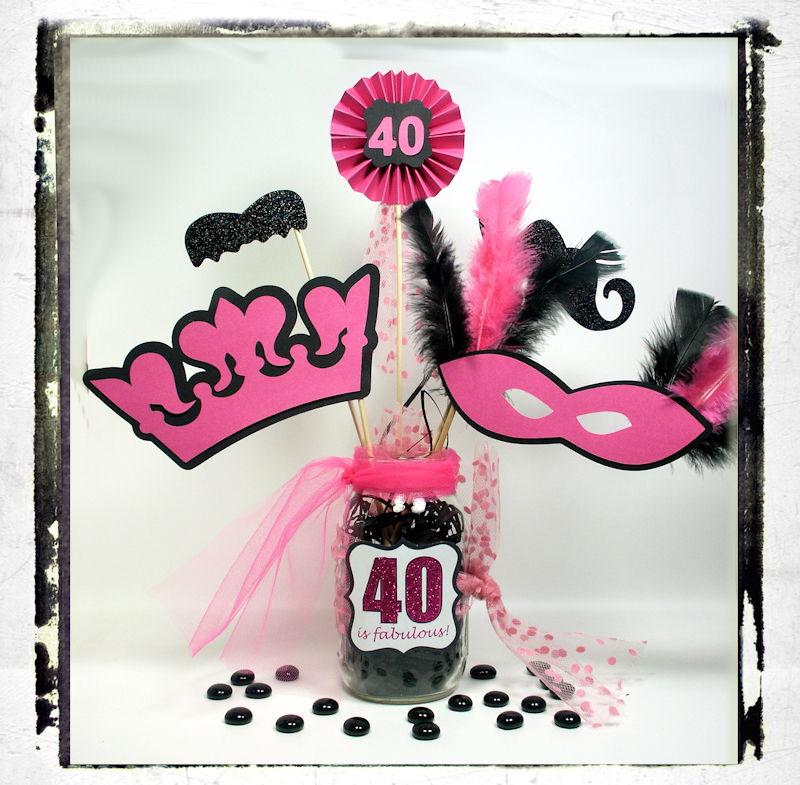 Click here to download the “40 is Fabulous” printable labels I promised for free! Happy Saturday folks! I waited for my kids to go back to school before I tried out the new toy I got for Christmas: A Fireworks Beginner Bead Making Kit! I’m glad I did because once I fired that puppy up I didn’t stop until I had made beads on all of my available mandrels (metal sticks.) Look at what I made! After I shot the video I decided to do some experimenting because I thought it would be swell to be able to use the major amount of scrap glass I have accumulated for my bead kiln (boy, I really like to melt things!) so I grabbed so longer scraps and started melting. It worked! 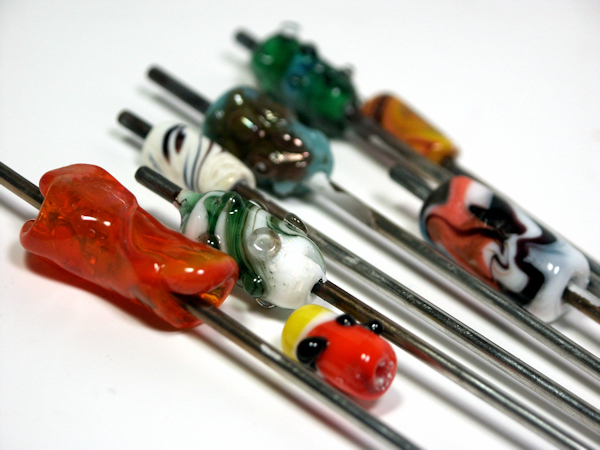 I soon figured out that I could not mix my stained glass and Italian rods but I suspected that was the case as it is with fusing glass in my kiln. I did not try dichro glass because that would be asking for trouble in my novice hands. 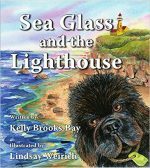 I found a great you tube channel by Kate Drew Wilkinson on using scrap glass and I really recommend checking it out. She is a classy lady with a soothing British accent, she is like the Bob Ross of beadmaking LOL! So, there you have it! 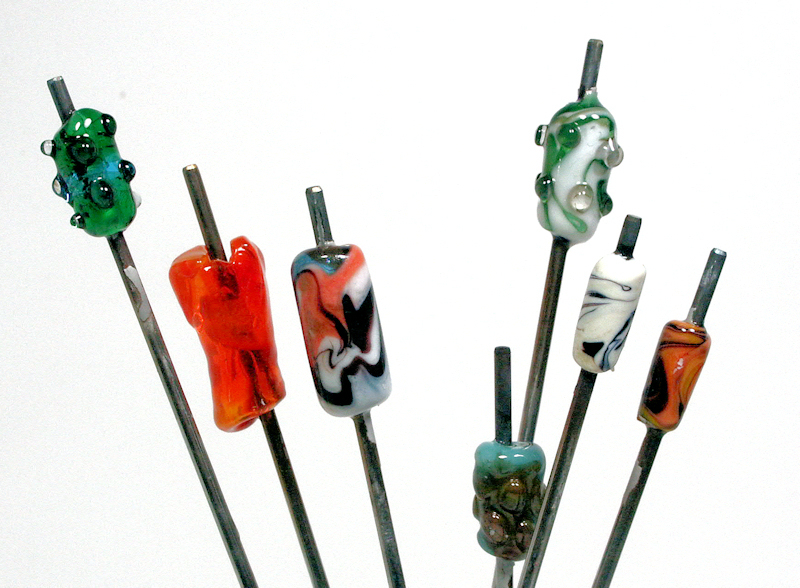 It is fun to make lampwork beads, now I just need to figure out how to get those suckers off the mandrels. I’m not sure if I used too much bead release (because it wanted to flake off) of if I just did not clean my mandrels well enough before I coated them. 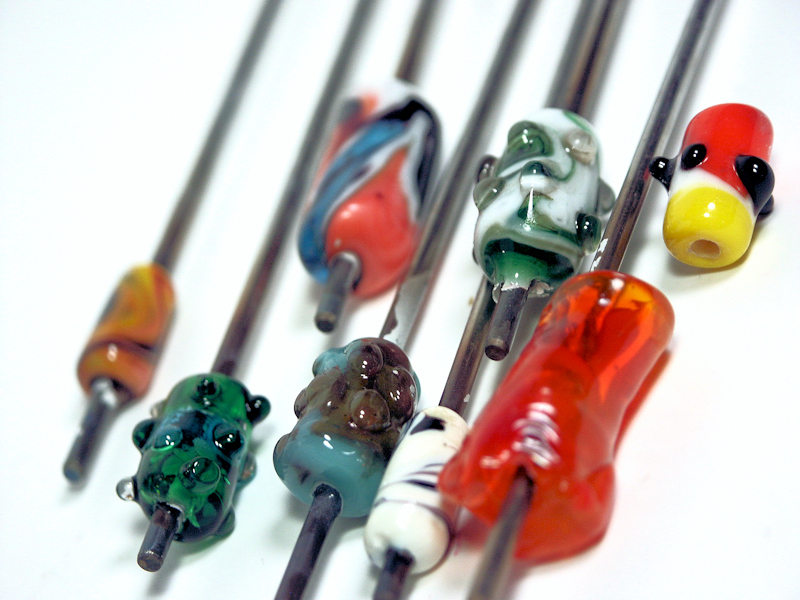 Oh well, if I have to break them I can use them for fused glass elements or smash them into frit, no biggie-hey, I even sound like I know what I am talking about, nice! Thanks for stopping by and til next time happy crafting!